Join our team of professional and passionate Spanish teachers and receive training and experience teaching Spanish. Teaching experience is a plus! 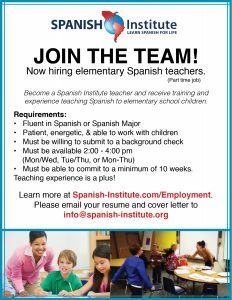 Please email your resume and cover letter to info@spanish-institute.org.